How to Enable or Disable Pulse Notification light in Nexus 6P? The pulse light notification is used by devices to notify us that there are pending notifications that we should check out. While all phones do not have this feature, Nexus 6P, the newest heartthrob in the Android world does. But it seems that by default, the feature is not activated. So, if you want to make use of the pulse notification light then you can simply enable it from the options. The option is accessible as Sound & notification in the main Android settings. The same option can be used to turn on and turn off the pulse notification light. 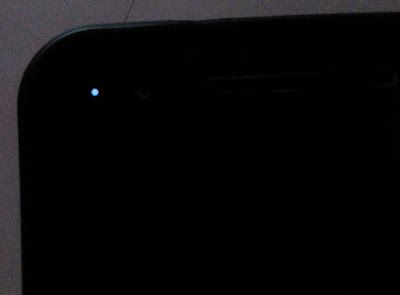 If you were wondering, the light is present in the front part of the Nexus 6P phone, right next to the front camera towards the top left of the phone itself. This is a hardware feature. Open Settings from the app drawer. Scroll down to Device and under it tap on Sound & notification. Scroll a bit down and under Notification > Pulse notification light move the slider towards the right. The feature is activated. Lock your phone and go about your day. Once you receive a notification, you will notice a small light like a dot on the top left of your phone. It appears and goes away quickly. It continues to do so until and unless you check out or swipe away those new notifications. Just unlocking and locking your phone also seems to do the trick.